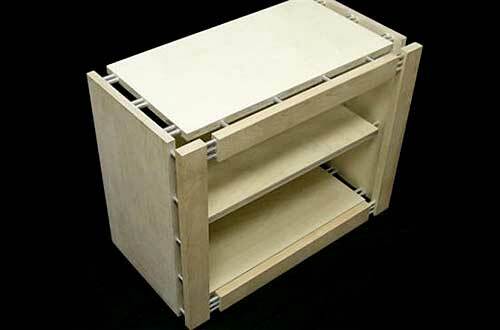 Some cabinets are built with a face-frame, as shown in Figure 1, that hides and protects the edges of the cabinet sides and others are frameless (sometimes referred to as Euro box or Euro style cabinets), constructed using a thin veneer or other covering to hide the side edges (usually the same material as the cabinets themselves). As the name implies, a cabinet with a face-frame has lumber, usually hardwood, that covers the edges of the cabinet box. 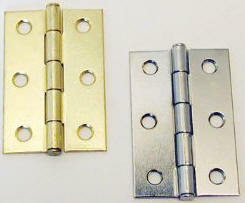 The face-frame is generally the same material and color as the doors. 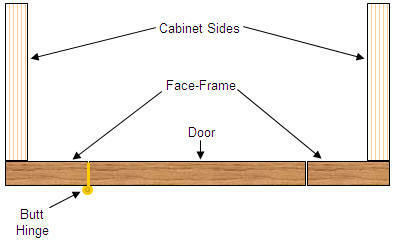 Figure 2 shows a break-away view of a cabinet with a face-frame. 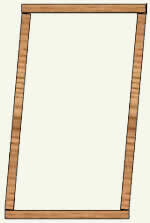 This face-frame is also the mounting location for the cabinet side of the door hinges as shown in Figures 3a, 3b, 4a and 4b. The face-frame cabinet's construction provides a great deal of additional strength. As an example, face-framed cabinets do not need a back (see Figure 5), for cross support, to prevent the cabinet from going out of square. As well, in many cases thinner cabinet side material can be used. 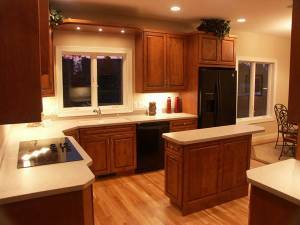 As a general statement, cabinets built with a frame are more expensive than those built frameless.